Most of my days, I pass my time with music and film. When I tell people what I love, I tell them I love music, film and the environment, in that very order. I secretly (maybe not so secretly) take pride in knowing that what I like the person on the other end of my conversation may not know. Does that make me a culture snob? In passing, I’ve noticed several articles on low, middle and high brow activities. I know we all sorta wanna be that high brow person with the middle brow nature and low brow guilty pleasures. I’m not a huge fan of categorising these activities, it cheapens it. So on that note, I’d just like to acknowledge my massive affinity for romantic comedies, maybe a little low brow. I most recently saw the film Crazy Stupid Love, a film about lost souls finding and refinding love. Indulging in my low brow tendencies, I fall hard for films that make ma laugh, real feel good films. Secondly, hiking me up to maybe high brow status is a good soundtrack, and I can confidently say that Crazy Stupid Love did have a splendid soundtrack. Nothing gets me on the edge of my seat more than a few familiar songs. I had a really lovely moment while one of the closing scenes was unfolding with the tune “Blood” by the Australian band the Middle East. I had this ping feeling that I recognised the song, but for the life of me I just couldn’t remember who did the song. It got to the point where I sort of hummed it to myself and made the association with the film It’s Kind of A Funny Story where that song got serious play and realised that I knew this song very well. The Middle East actually recorded this song a few years ago, they must be pretty tired of it! It’s funny to hear songs reworked into a film because they don’t necessarily sound like what they do recorded. I’d love to get into scoring films and soundtracks, it just seems like the perfect job for me! I can’t tell you how many times a week I tell someone about the three main loves of my life (film, music and the environment) and they ask me why don’t I get involved in the music industry. In response, I simply shurg and explain that I don’t see a job that suits me. Well, this is it. Maybe when I finish grad school I’ll dip my fingers into the film industry, production side. So back to the subject at hand – Crazy Stupid Love‘s flawless score. I liked it because it was subtle, there wasn’t a band that owned the entire soundtrack and it wasn’t just one genre of music. Sadly, not all the fab music in the film made it to the soundtrack available in stores. For instance, when the credits rolled around Andrew Bird’s “Tenuousness,” a song I wasn’t very familiar with but could tell it was one of his tunes. Can you name a happy Steve Carell character? I can’t. This role he took on was similar to the paternal role he played in the brilliant film Dan In Real Life. Sad father character, life just not giving you lemons. His role as Michael Scott in The Office was quite possibly the most depressing of all. >I have to give it to the last day of June, it was quite possibly the most lovely evening of my summer yet. It’s just one of those evenings you can’t really plan, but rather they just sort of happen on their own. This will certainly go down as one of those amazing evenings. 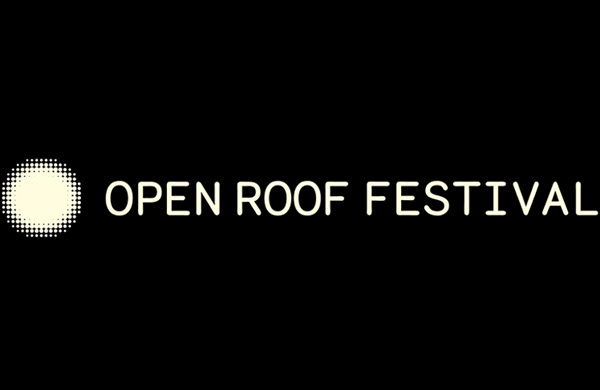 My best pal and I made a very last minute decision to go to the Open Roof Festival, something I put off last year because I discovered it wasn’t actually held on a roof. Rather, it’s in the back lot of the Amsterdam Brewery on Bathurst just south of Front. Their name isn’t entirely off, there is no roof at this venue. It was made an especially perfect evening because of the weather – a lovely 21 degrees Celsius, perfect for the summer dress. Nicole and I, dressed to the nines took on Toronto. There was something real surreal about watching a film in the middle of the city buzz. The Darcys went on around half past eight, the whole idea of these Open Roof sessions is to show the movie right at dusk, so bands kind of leisurely go one with enough time to churn out a few tunes without impeding on the film’s spot. This audience was definitely there for the film over the band. It`s kind of not a good atmosphere for a concert as there are seats and terrible terrain to stand on. I feel like it’s terrible concert etiquette to sit and watch a band, unless that`s the sort of show. People sat and spoke throughout the gig – not a gig I`d like to play myself. The sound was mediocre to lousy, although loud enough to carry decently, but i’d credit that to the band`s crisp sound rather than the venues good speakers. The Darcys did not let me down. I was taking Nicole to see the Darcys for the first time since we had first laid ears on them at the Supermarket in 2008. We both thought they were nothing special. It’s really incredible to hear what three years’ll do. Times are a changing and things are looking up for this band. Trouble is they have yet to release an album. How can a band really explode without any material to support what they`re pushing? I’ve said it before and I’ll say it again, the Darcys absolutely need to put an album out, or at very least another EP. I really love what Zeus has done, they’ve sort of lagged between releasing their legendary album Say Us and a follow-up, but they have released a couple of EPs to satisfy my needs. I am happy to report that the fourth song in was a new tune I’d never heard before and it sounded fantastic. This band has definitely not lost steam, they’re clearly just being picky with things. I just hope they don’t grow bored of their songs before they actually have a chance to really do well. Now, moving on to the incredible documentary Beauty Day. Do you use the term “beauty”? I use it time to time when I describe something really great. After seeing this film, it’ll definitely work its way more into my daily language. Meet Ralph Zavadil – a totally off-beat, weird looking guy, the original Jackass. Of St. Catharines, ON, Zavadil probably had a tremendously hard time fitting anywhere, because he has a hell of a lot less shame than anyone else. Zavadil made absurd recordings of stunts he did involving himself. Take the most absurd thing you can possibly think of and Zavadil would probably do it. His program The Cap’n Video Show aired from 1990-1995, with what seemed to have a solid following. I think this documentary was such a hit with the audience is because Zavadil is human. Humanity really bleeds through in the descriptions and interviews of his life. One can really relate to this man in many surprising ways. The music throughout this film was selected and mostly made by Justin Small and Ohad Benchetrit, both of the Toronto-based band Do Make Say Think. The song “Major Lift” was used throughout the film, kind of a theme-song for Zavadil almost. It’s always really lovely to see what Do Make Say Think will stick their fingers in. Do Make Say Think, auteurs? Instantly making me a fan of the film. It’s one of those disposable films, one time use only. >I’m reading a book called The Sixties by Jenny Diski. The book is one of many from the series “BIG IDEAS//small books.” I read this paragraph from the book and completely fell in love with Diski’s immense detail and appreciation for film. I really fell for this in part because I felt something like that after seeing Pierrot le fou at the cinema all alone, just sheer excitement. Beyond that, to love a film enough to see it time afterwards in theatres is an absolutely dynamite feeling. >I can’t shake how lovely the film ‘Beginners’ is. I mailed my friend today saying this is the summer of Lovely. All things lovely. So, I’ve gone on about the lovely film ‘Beginners’ Directed by Mike Mills (husband of Miranda July). The film stars the incredible Canadian Chirstopher Plummer, Ewan MacGregor and the very beautiful Mélanie Laurent. The film is about the revelries of life, some joyous some overbearing. I fortuantely have the pleasure of watching this film at TIFF ’10. I was surprised and warmed inside. I’m most excited by the booming soundtrack that makes me feel equal parts classy and in love. Note: not the version on the soundtrack, but still lovely. Note: couldn’t find the original on YouTube, but this is pretty faithful. >Tunde Adebimpe did a really lovely cover of Neil Young’s hit off of Harvest Moon called “Unknown Legend.” It’s just really lovely. I’ve been all about the lovely lately. >I know I railed American cinema, but I think my faith has been restored in two films I have seen in the last year. Tonight, I saw the film Midnight in Paris Directed by Woody Allen. The other film is the very lovely Beginners. >I`m pretty thrilled to see Woody Allen`s new film Midnight In Paris. Beyond the fact that it takes place in Paris, France, I`d just like to point out how creative Woody Allen really is. He has an almost French imaginitive feel when it comes to his writing and direction. In the last few years, I`ve really taken to French New Wave cinema, real-life films with big imagination and happy excitement. There`s something really lovely about all the old Truffaut and Godard films that have no colour, but are so full of life. Which makes Pierrot le fou all the more exciting, because it had colour. I just watched the François Ozon film Potiche, or The Trophy Wife. A relatively light film that stars French classic vedettes – Catherine Denueve and Gerard Despardieu. By it`s finish, I couldn`t help but think about how different French cinema is from North American. North American film is so predictable and simple minded. The French have fun, they accentuate the oddities and complexities of life in a way that North American film could never do. My word on Woody was that he, a New York native, does push the envelope significantly. His films often harp on people`s flaws, he essentially magnifies human flaws. For that, I really love all that Allen does – people are imperfect and make poor choices. I may be so bold to argue that North American film portrays a false “perfect“ image of people. Don`t get me wrong, Allen casts the prettiest of pretty people in his films, but they all have their flaws. I`m really looking forward to seeing his new film `Midnight In Paris.` Beyond the all-star cast, I look forward to seeing a non-New York Woody Allen film. I swear, I can`t keep up with this man, he`s on a one a year cycle. Film factory. Also, a cute thing to point out is that on the Woody Allen filmography page, there are three boxes that serve to filter out what his role in the films listed have been. Writer, Director and Actor, the majority he has done all three, Allen truly is an auteur.